My Binyam. Oh my Binyam. A few weeks ago he got his full leg casts off and traded them for the under the knee variety. We got our first look at his feet post surgery and they looked amazing! 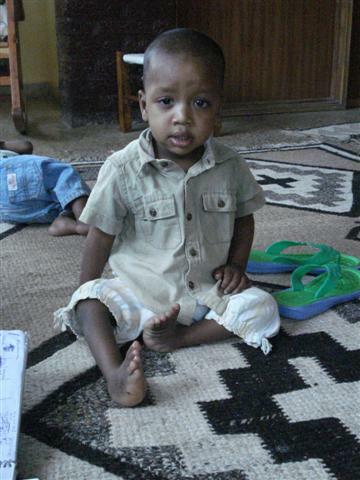 Binyam before. 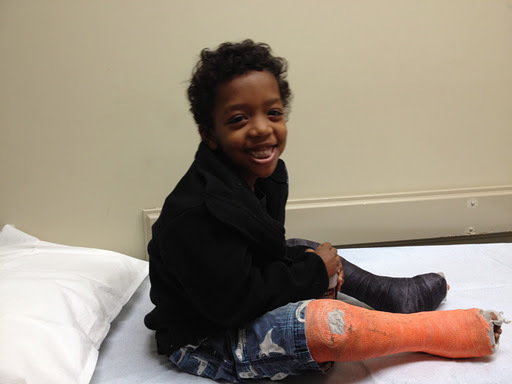 How much do you love his Halloween casts? His tiny little legs with his surprisingly big feet!!! And the close up. Amazing! You want a comparison? Here you go. 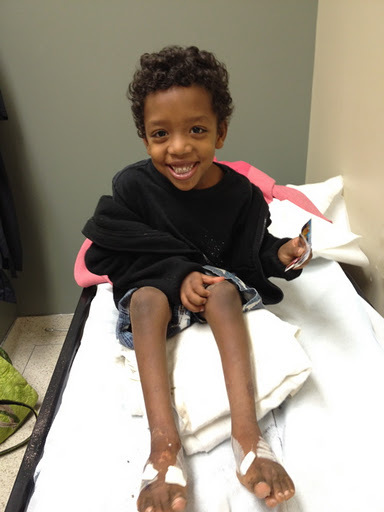 There really aren’t words in this language to perfectly describe Binyam’s strength and courage. There just aren’t. But he is amazing. 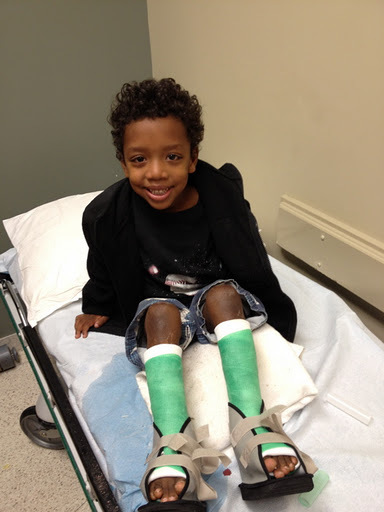 He’s been walking in his short casts since the day he got them on (despite getting 6″ pins removed from his feet). Yesterday he was doing wind sprints in them. Any more surgeries? I don’t know the answer to that for sure. His left foot looks perfect, his right still has a small turn in. I’m guessing we won’t know for sure for a few months once Binyam is fully recovered and has worn his corrective shoes for awhile. For my laymen’s eye (or mama’s eye, as it were) I think they look beautiful and perfect. I’m praying for no more surgeries. Perhaps you could join us. Look at that face, he deserves a break does he not? He is just amazing! His feet look beautiful!! WOW! What a difference. I will surely be praying for no more surgeries. They do look amazing! B is definitely a trooper. I hope this surgery was his last. Hugs little man. Yeah Binyam, you are amazing! Ai yi yi, those are so gorgeous dawgs!!!! Praying that was his last surgery and he'll be sprinting and jumping before you know it!! It is so true. He is a remarkable little boy who teaches me something about life every time I listen to him. He does deserve a break. Certainly praying for that. 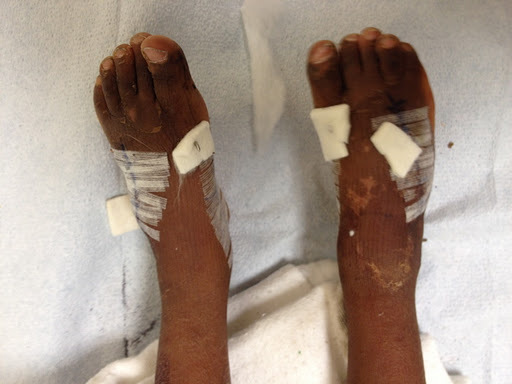 And how AMAZING his post-surgery feet look. Totally cool! Oh, what a handsome brave little man. Cannot wait to see what amazing plans God has for this little boy, and his amazing little spirit! I want to buy him a HUGE ice-cream cone. Jus' sayin'. B- you've got cheerleaders all over this world….